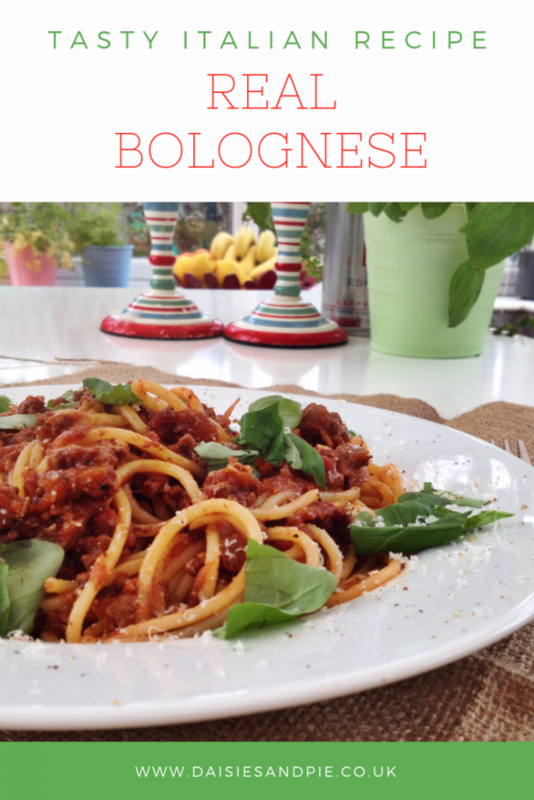 Spaghetti bolognese is the home cooked dinner my children request the most frequently. The smell of it cooking means they’re home, that they can relax and forget their worries. Sitting up to the table and tucking into a big dish of spaghetti bolognese, dipping in the garlic bread, piling on the homemade coleslaw. They love it. It’s comfort food at it’s best. A delicious meaty bolognese made with beef and pork mince and cooked with red wine and lots of Italian herbs rosemary, bay, marjoram, basil and thyme. I cook this for a couple of hours to really give the flavours time to develop nicely. I always need to eat this with lots of parmesan cheese although the kids prefer strong cheddar – each to their own I guess. 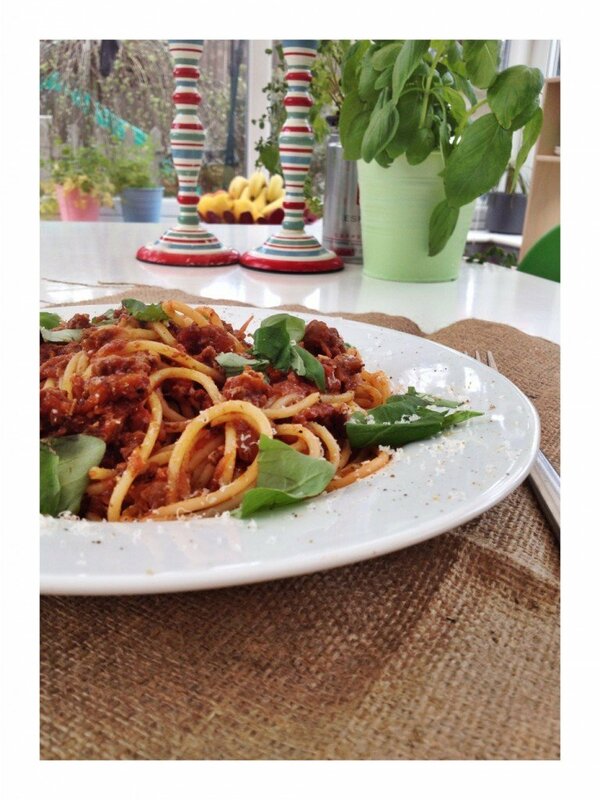 Slow cooked Italian spaghetti bolognese just the way it should be - a real family favourite. Heat a splash of oil in a large pan, add the garlic & onions and cook over a low heat for 5-10 minutes. Add the beef and pork to the pan and cook for around 5 minutes until browning. Pour in the red wine and turn up the heat so it sizzles. Add the tinned tomatoes, tomato puree, dried oregano, chopped rosemary and bay leaves - season with salt & pepper. Bring to the boil and then turn the heat down low and allow to simmer for around 2 hours - top up with red wine or water if you think it’s looking a little dry. To serve - Cook the spaghetti - bring to the boil a large pan of water, add a good pinch of salt and a swirl of olive oil, once it’s bubbling add the spaghetti and allow it to soften before pushing it under the water with a spoon. Bring the pan back to the boil and then turn down to a simmer - keep the lid off. Stir the spaghetti every few minutes to prevent it from sticking together. Simmer for around 10 minutes. Enjoy! You might also just LOVE our 10 easy summer dinner recipes! Really Easy Party Food That Tastes AMAZING!